Everything about the course is interesting. The level of support from lecturers and tutors is incredible. “Initially it was the reputation of the MSc Global Food Security and Development course that made me interested to find out more about what it offers, and undoubtedly confirmed that it is very relevant to my country’s needs. “This course is an interdisciplinary programme. I have a Business and Management background, and couldn’t be more excited to diversify and add Food Security and Development competences to my skill set. “The course is diverse and focuses on global development challenges, especially food security. It emphasises applying system approaches to analyse and make informed decisions regarding food security and international development. It also builds competences in research and food security innovations. “Everything about the course is interesting. The level of support from lecturers and tutors is incredible. They are very supportive and friendly, have a positive attitude and are willing to help students even outside of term time. They inspire and motivate students, which I find to be very special. "The course also comes with some pressure and encourages independent study, which gives students a chance to research and make tangible contributions in class. I also enjoyed the Food Security and Food Systems Analysis module. “This kind of course you can’t find anywhere else. The course has numerous career opportunities and Nottingham Trent University has all the necessary resources to help students excel and succeed in their careers. 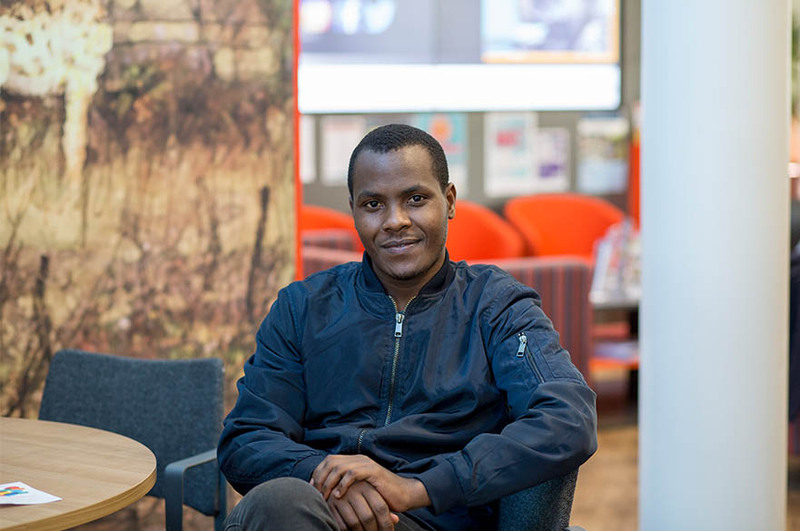 “I chose to study at postgraduate level because the world has become competitive. Higher study opens up more quality opportunities and intellectual maturity. I therefore wanted to improve on my intellectual capacity, contribute towards my country’s development, and find better career opportunities. “I have found it very interesting being a student here. It is very easy to bond with tutors and students, which has given me a chance to not only study comfortably, but also build authentic relationships. The student support is also extraordinary.